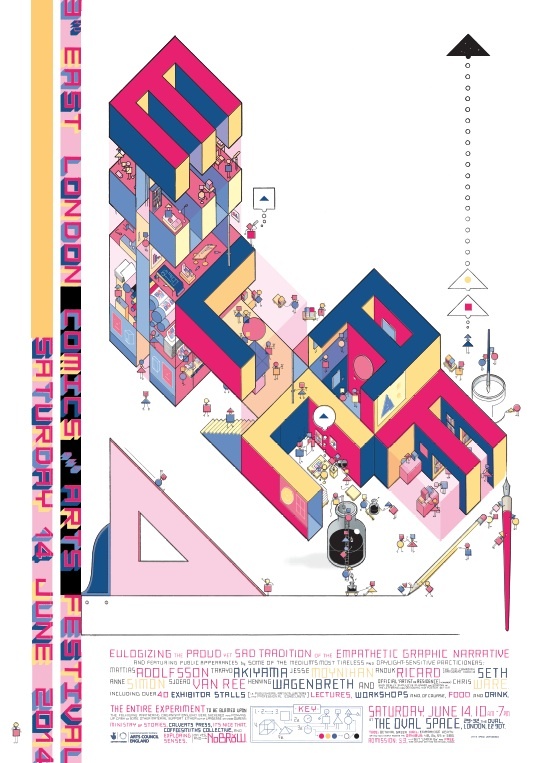 ELCAF 2014 was the third East London Comics and Arts Festival and took place at Oval Space on 14th of June 2014. The festival showcased the plethora of youthful talent in the comics and graphic art scene in London and the UK bringing something fresh to our locals by drawing talent from abroad to take part in the event, inviting exciting new collectives and publishers from Europe and the wider world. Micro Library Books launched new bookworks; Diary 2015, The Diary Of Mashie Black, Grid Book Box Set, Dot Book Box Set, The Pocket Player, and Limited Edition Pop-up Dioramas. For more information visit ELCAF.